two cute outfits from the nordstorm anniversary sale plus $400 gift card giveaway! it's been so fun to cover the nordstrom anniversary sale all week with my posts on staples of the sale, cute outfits, the best kid's shoes, men's outfits, and today wrapping up with two more of my favorite full looks from the sale. it's also been SO fun to spread the love for a week and give away nordstrom gift cards to so many readers who have made my blog a success! i say this over and over but i mean it: without you guys, my blog is nothing. so a big huge giant THANK YOU to every one of you who reads what i say and gets excited with me over the deals and loves a good sale just as much as i do. i sure love you guys!!! my last two looks from the nordstrom anniversary sale are really fun and super different from each other. the first is a white tee and jeans but i'm seriously completely obsessed with the bright pops of colors from my hot pink MAC lipstick, ted baker bag, and steve madden blue pumps that make this outfit come to life! p.s. please forgive me for the couple of things that have sold out in the first outfit since the sale launched! i feel so bad and wish i had control over that, but i offered suggestions on sale that are super similar in those couple of items. this next outfit is ideal for the working girl or anyone who needs a business casual but COMFY outfit! these tweed pants are one of my favorite surprise finds of the nordstorm anniversary sale. super affordable at $29 and they kind of feel like pajama pants while being a somewhat dressy pant and i'm obsessed with that. *sidenote: these run small so order a size up! i love the blousy top here too and the SHOES! 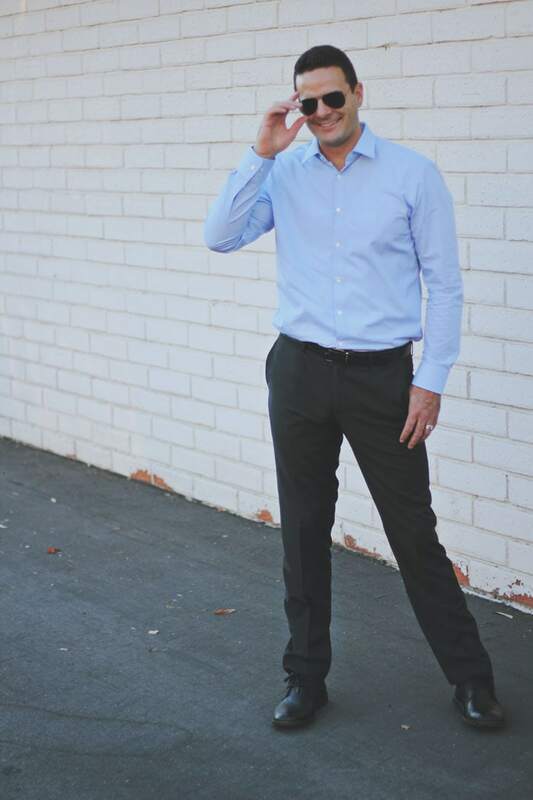 i have said it before and i'll say it again – halogen makes THE most comfortable shoes. if you've been waiting to get the perfect pair of animal print shoes, these halogen marlie calf pointy toe pumps are the ones. so so comfortable. it's like halogen went and made a pointy toe pump out of a shoe that feels like slippers. it's beyond amazing and they'll work with jeans, a dress, dress pants, really whatever you want. now for yesterday's BIG $200 gift card giveaway winner! michelle, please email me with the email address you used to enter the giveaway within 24 hours to claim your prize. and for my LAST GIVEAWAY i'm giving FOUR $100 nordstorm gift cards away over on my instagram today! 2. tag a friend in the comments to enter and tell them why they should follow mint arrow too! tag as many friends as you want but tag 1 friend per comment please. 4 winners will be chosen at random and announced ON THE BLOG tomorrow morning. winners will have 24 hours to direct message me on instagram claiming their prize. must be 18 or older to enter, US and canada residents only. GOOD LUCK and thanks again for your support! i love you guys! 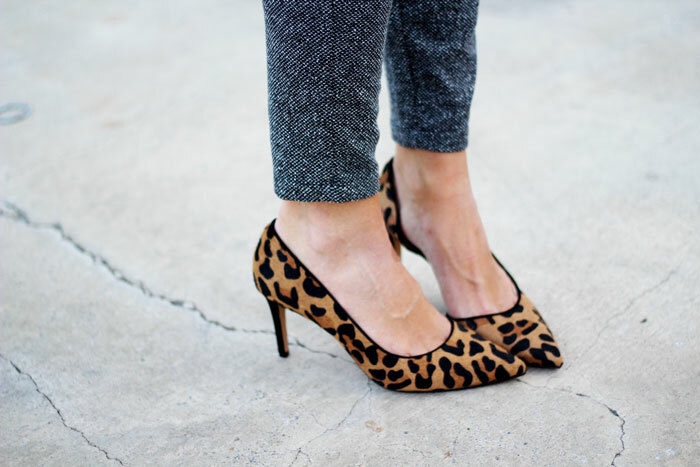 Those leopard heels! I’ve been trying to update my work wardrobe while still trying to keep it fun and less funeral-like. Last chance! SOOOOO hope I win one of these! (: PS Seriously LOVE both outfits! That second outfit!!!!! Looks much better on you than the pictures posted on nordstroms site! Thanks for all these great giveaways! i am falling for those tweed pants! they are already in my shopping cart! if you dont mind telling me— what size are you wearing?? thanks girl! perfect! thanks for letting me know. i always appreciate you answering your readers questions. another reason why you’re so many of ours favorite blogger! Hi! Just making sure that we’re supposed to like and comment on today’s IG giveaway post? The one with today’s cute outfits. Corrine, you have opened my eyes to the glory that is the Nordstrom Anniversary Sale! I had no idea that they had this huge sale every year ( that may have been a good thing, at least for my wallet). Thanks to you I’ve gotten some great deals for myself and for my baby who will be here any day now ( I HOOOOPE! I can’t take being pregnant any more! :~) ). Thanks for putting together your favs and for the outfits that has been helpful because sometime stock images just don’t give you a clue what something will look like. I think I’ll be looking pretty good post-partum with these finds! I love reading your blog and tell everyone to check it out. Keep up the great work ! These outfits look so great. I love the tweed pants and I think I just may have to go to the sale today. Thanks for putting on these giveaways. So fun! 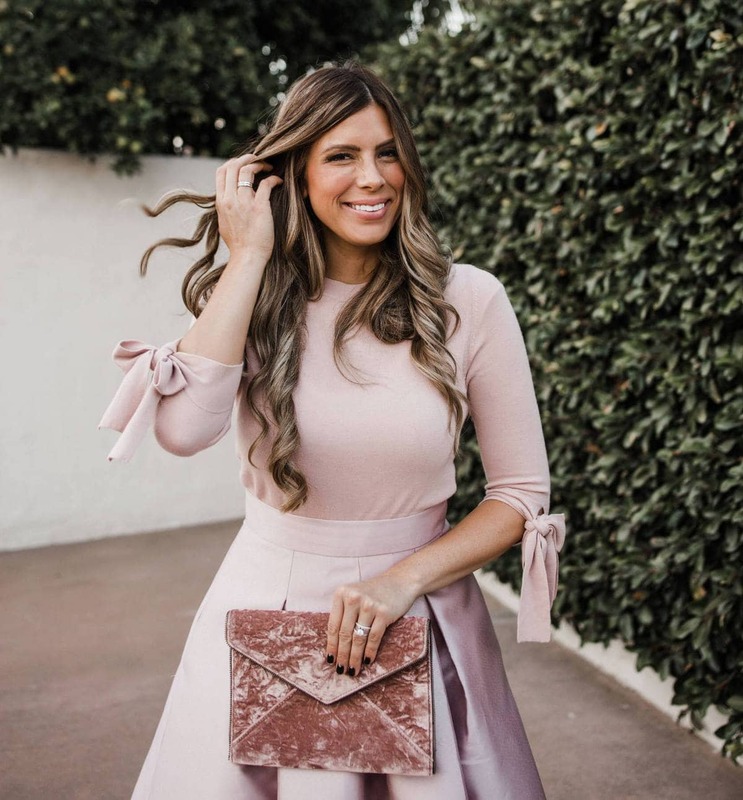 That pink clutch is amazing – great finds!! Thanks for doing all the work! Seriously with those blue SM pumps!!! Gorgeous! k between you and your mom you are both my heroes!!! you with your deals & your mom with her bountiful kitchen!!! LOVE YOU BOTH and love this giveaway! please don’t judge for how many times i commented haha! You are a doll! Everything about you and your blog is adorable! Thanks for keeping my closet updated! hey rin, super easy to wear! really flattering and blousey and not boxy at all in my opinion 😀 i hope that helps! !